My weekends have been all wedding, wedding, wedding lately. The big day is next Friday for my sister-in-law. In honor of the upcoming day, I thought I'd share some of the things we've had going on. A few weekends ago we headed out to the beach to celebrate the Brides in a little get together and fun filled night. 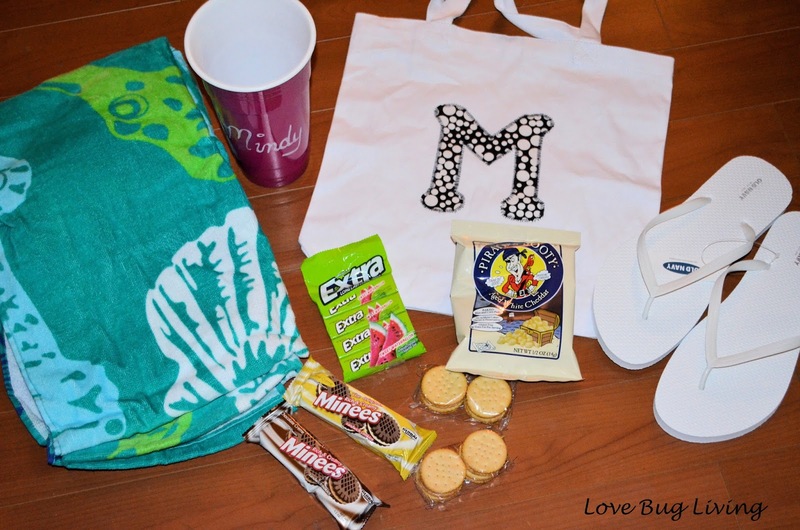 All of the Brides and Bridesmaids stayed at our condo, so I wanted to have a little something for each of the girls in a little gift tote filled with things they might need for our bachelorette beach weekend. 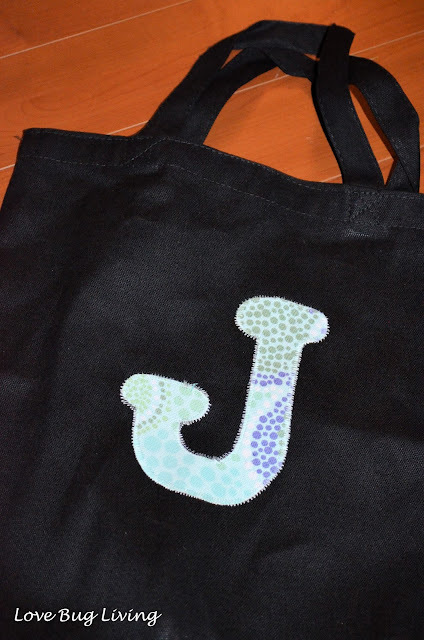 I wanted to personalize the totes for each of the girls. I bought these 13.5 x 13.5 tote bags in a 3 pack set at Michaels. Always a good idea to use your 40% off coupon! 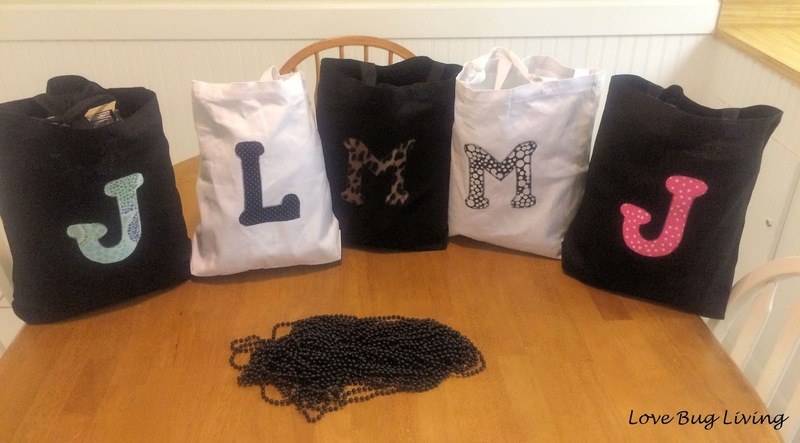 I bought white totes for the brides and black totes for all of the bridesmaids. I found my letter templates online Here and printed them out. Next, cut out the letters. 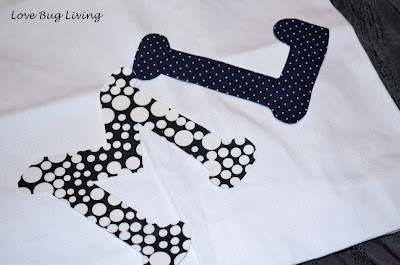 Iron a piece of wonder under big enough to fit your letter onto your chosen fabric. Trace your letter, backwards, onto the back of your wonder under and cut it out. 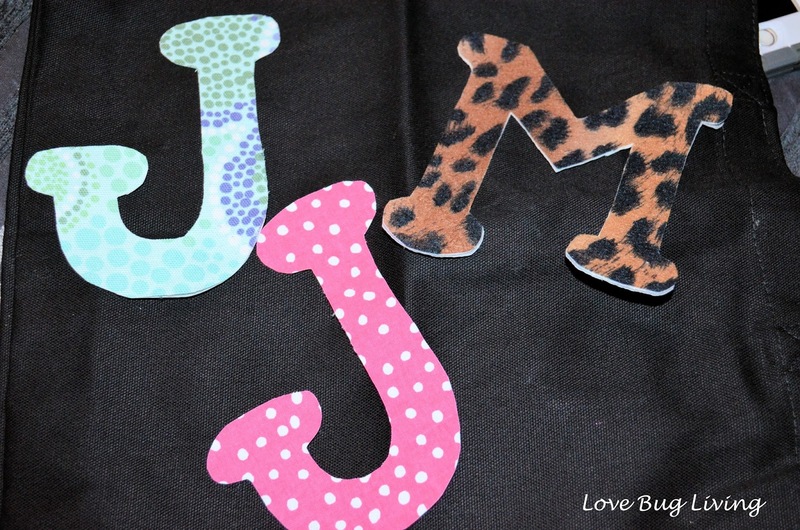 This should make your letter face the right way after you cut it out. Now it's time to place your fabric letter with the wonder under onto your tote bag. Iron it in place according to the directions on your wonder under. 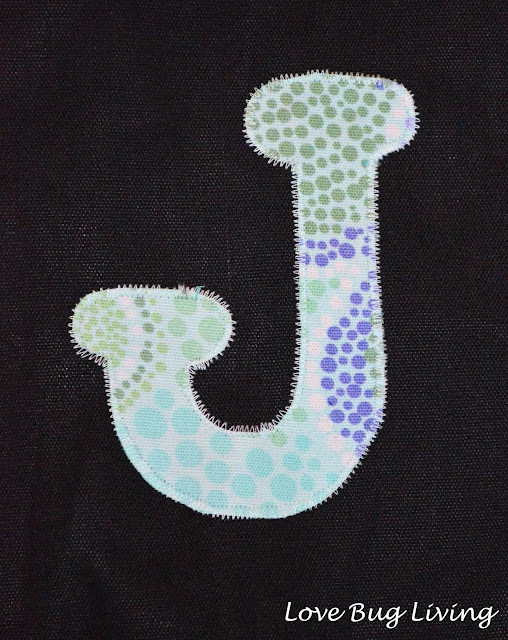 Sew in place around the outside of your letter with a zig zag stitch. This really secures the letter in place. You can pick either a complimentary color or a contrasting color for the zig zag stitch thread. For our bachelorette bags, I filled them with things I thought we might need out at the beach. The brides got white flip flops and the bridesmaids got a tan color. Everyone got an extra large plastic solo cup and a towel. 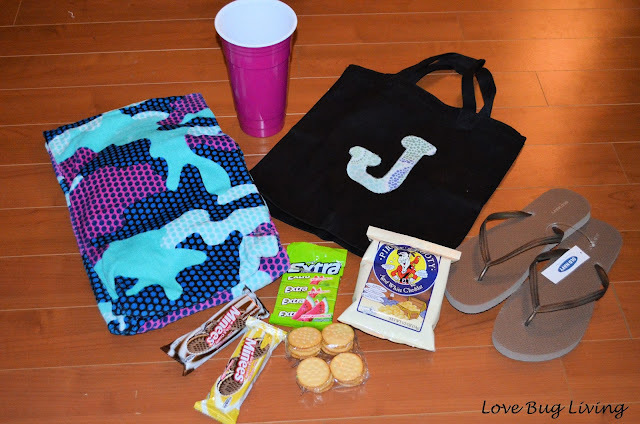 Of course we needed some snacks and gum! The beach weekend was a great time! So much fun hanging out at the beach, great time at dinner and more fun checking out New Smyrna beach night life! 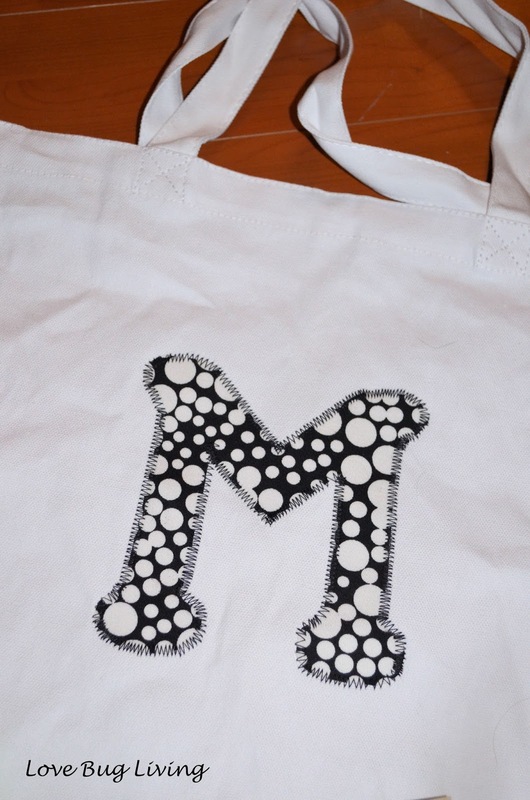 These tote bags would be great for any party favor and could be done with smaller totes. You could also make them for Halloween treat bags with Halloween fabric for the monogram. How about a child's dance bag? Travel toy bag? 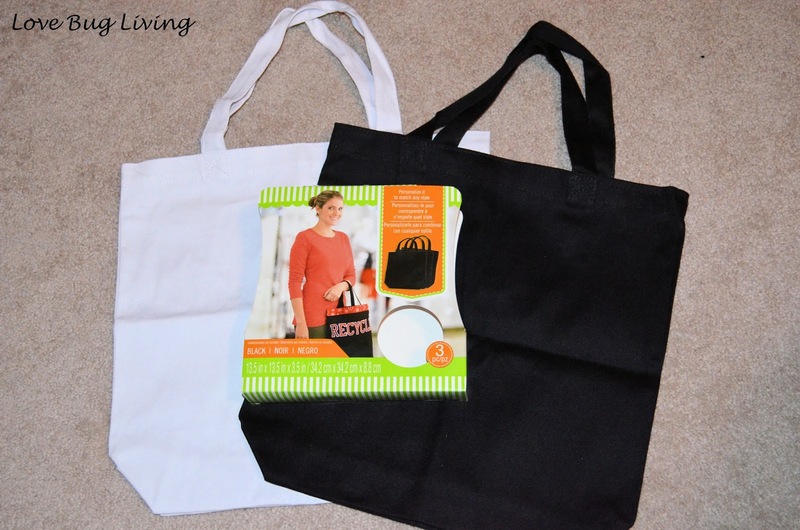 Reusable gift bag? So many versatile ideas. Make yours in no time today!